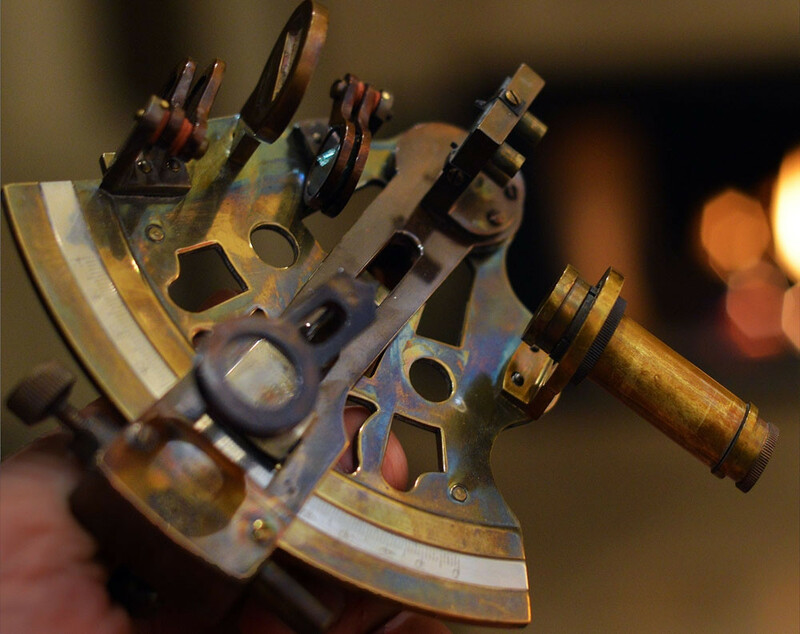 This sextant is an example of sophisticated navigation technology designed and built to reliably function over a hundred years ago. It is well designed, anticipating challenges of use in extreme conditions when accuracy could be a matter of life and death. It is well made, of materials selected to stand up to a harsh marine environment over time. 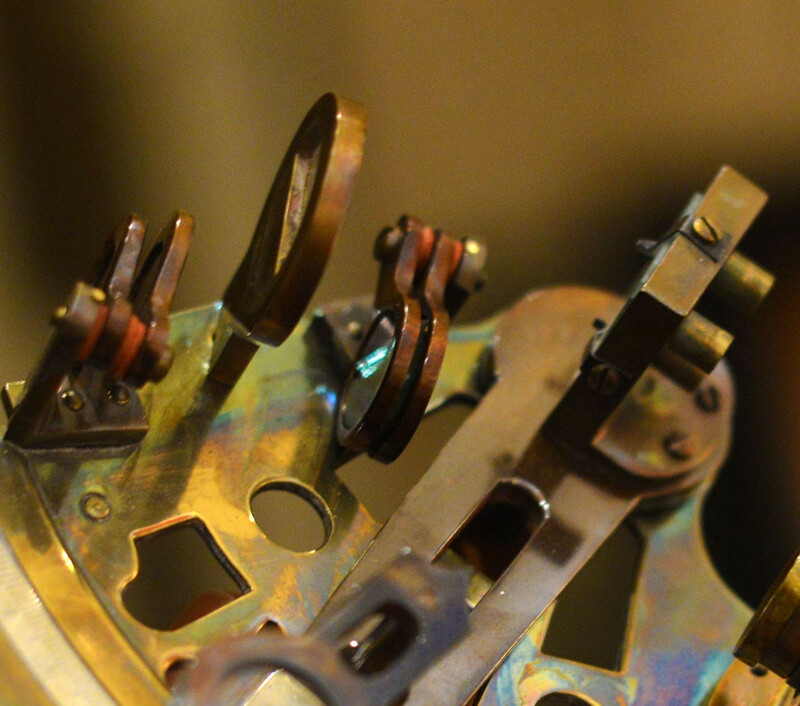 In a sextant, there are no delicate parts that will break, no computer components to fail, no batteries to recharge or replace. This instrument functions as well today as it did when it was new. Today, satellites inform our electronic devices where we are. Provided we keep them dry, protected, and powered, they are reliable and effortless to use. Phones and tablets accompany us everywhere, providing a virtually limitless variety of services. They represent a triumph of consumerism, as successive waves of refinements are steadily revealed with new versions of the products, often announced just months after the release of the current model. Disposability has displaced durability. We are also becoming conditioned to the idea of 'durable goods' not being durable. Increasingly, products that should be made to last are being built to be disposable. The majority of appliances and equipment tends to fail with regularity, and the repair, if it is even an option, will typically cost more than the product. I was recently advised by a repair technician that the manufacturers of all brands of televisions build products with an expected 'service life' of three years, and they are building them so they cannot be serviced. In the U.S., almost every piece of equipment in our homes or offices contain at least one computer component. Earlier this year, I had to replace a computer board in a furnace; my family had no heat until the part was shipped from across the country, and that repair alone cost nearly $800. We were told we were lucky... at least we did not have to replace the entire furnace (although that was suggested). This lack of commitment to durability has even become commonplace in architecture. Both from architectural and environmental perspectives, this is fundamentally irresponsible. In 1849, John Ruskin offered the observation that ". . . a building cannot be considered as in its prime until four or five centuries have passed over it." That point of view contrasts sharply with the evident acceptance across contemporary business and social culture of a normative service life (architects and builders shamelessly speak of the 'design life' of a project) of three decades as the outside range for most of what we build today. 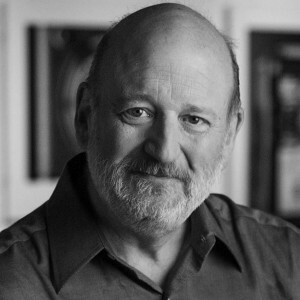 Many of the technologies I advocate in architecture have more in common with the sextant than with the GPS, cellular phone, or computer tablet. This has not always been the case; for many years, I practiced architecture in the same cloud of ignorance I am writing about here. The home that I designed and built for my family is hopelessly tied to 'active' mechanical systems... heating and ventilating equipment that will always be energy hogs and maintenance needy. I designed it that way, because I did not know any better. That was some time ago. I now see all that equipment as obsolete, and I reject design attitudes and assumptions that accept them as a necessary evil. The 'passive' components of architectural technologies such as SIREWALL or Passive House design will, like the sextant, work as well hundreds of years from now as they will now. We have much to learn from the truths of simple sophistication.